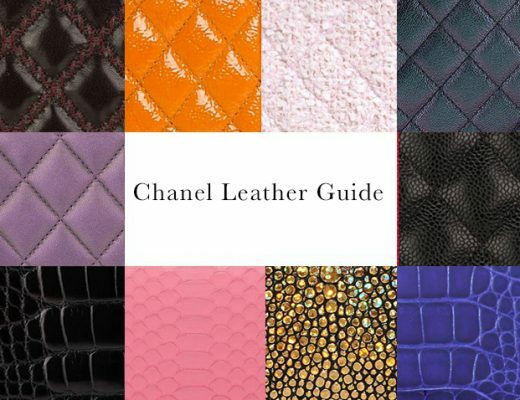 A true Chanel collector will have among her selection a mix of classic handbags, such as the the Wallet on Chain or Classic Chanel bag, and also more importantly an assortment of very special, limited-edition runway handbags. Chanel presents six collections per year, four of which are known as Metiers d’Art and presented on the runway with a different theme each time. 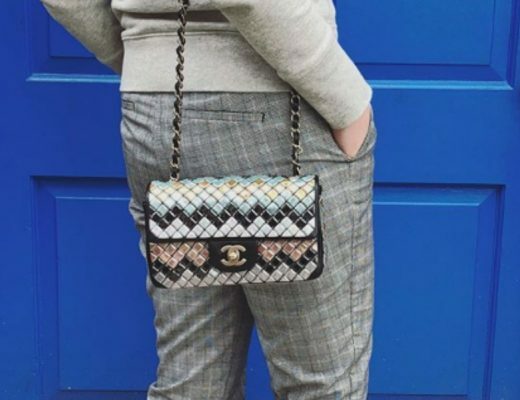 The handbags featured there are produced in limited quantities, and every Chanel collector years to get their hands on o ne of those special items. However, because of the demand they sell out quickly from the boutiques, but can sometimes be found in the secondary market. At Madison Avenue Couture we have a selection of special handbags and accessories for the Chanel Collector, and today we are highlighting some of our favorites. Chanel’s “Austronaut Essentials” backpack comes straight from the Fall/Winter 2017-2018 runway. Made from durable printed nylon and black lambskin leather accents and silver tone hardware, this backpack is a “must have” for the season. Perfect for the Chanel collector who likes to travel in style, or the collector who loves having his hands free. From the Spring 2016 pre-collection, this limited-edition Dice minaudière features a casino dice design, complete with the maison’s iconic symbols, such as the camellia flower, the number 5 and, of course, the interlocking C’s. Made from black PVC, brass hardware and a gold leather interior, this rare bag is sure to please even the most selective Chanel collector. From the Fall 2015 collection, the Chanel collector is familiar with these sleek plexiglass minaudières. They are designed to look like Chanel’s compact powder makeup packaging, with the recognizable CC logo. Both are lined with black leather, and are the perfect accessory for a night out, and they can be used as both a clutch or shoulder/crossbody bag thanks to their silver-tone chain. They are available on Madison Avenue Couture in black and white. Another stand-out piece from the Fall 2015 collection, which had the theme of “Brasserie Gabrielle.” Made out of plexiglass and lambskin with ivory satin lining, this minaudière is sure to be a conversation-starter among Chanel collectors and non-handbag admirers alike. These bags are perfect examples of Chanel collectors items because they offer incomparable style and value. These are handbags that not everybody can purchase at a boutique, so if you’re a true collector, be sure to snag one of these special bags today!